The StarLab is a portable planetarium designed for all ages, kindergarten through adult. Many lessons in Astronomy, History, and even Biology may be taught using it. The StarLab is valued at over $14,000, making it quite difficult for most schools to have their own. 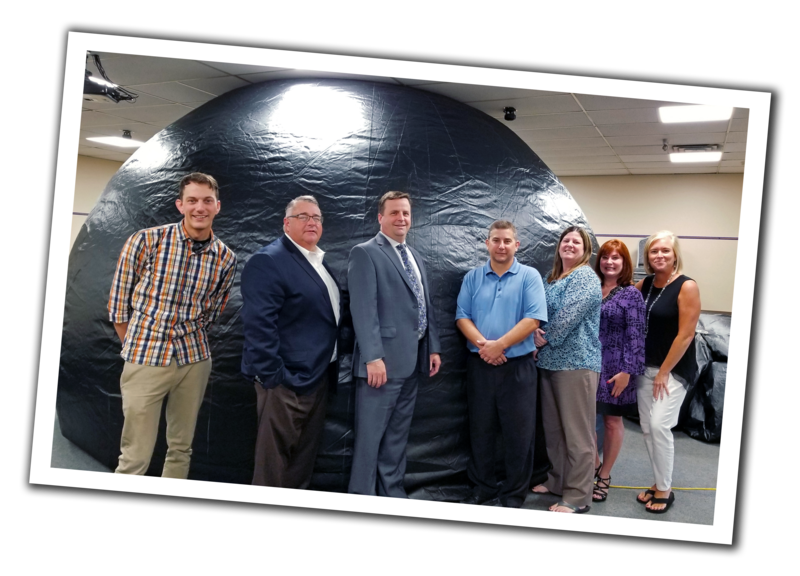 Through the generosity of the Will and Grundy/Kendall ROEs, schools in Will, Grundy, and Kendall counties have access to the educational benefits of bringing the planetarium to their schools. The PDA owns and maintains two complete StarLab sets that schools can check out on a weekly basis. Because of the StarLab's value and the fragility of many of its components, only school staff that have been through our StarLab Training are allowed to check out a StarLab set. StarLab trainings are offered periodically based on interest. There is a $75.00 per set, per week fee to help us maintain the StarLabs. Reservations are made on a first-come, first-served basis. The set may be checked out after 2:00 on the Friday preceding the reserved week. StarLab sets must be returned to the Professional Development Alliance in Joliet by 3:30 pm on the Friday of the checkout week. Please keep in mind that the set consists of several large boxes and an XL duffel bag. The person making the pickup will want to bring a mid- to large-sized car, SUV, or van.